Need a little absorbency boost? Add one of these Apple Cheeks Bamboo booster to any diaper. Great for car rides, naps and night time. Need a little more absorbency in your Apple Cheeks Envelope Covers, or other cloth diapers? Try a highly absorbent bamboo booster. 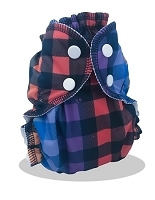 Wrap it in a 2-layer insert and you get a total of 8 layers right where your baby needs it! 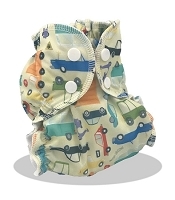 Fold it in half and place in the front of the diaper if you have a boy for extra absorbency right where he needs it!